Known for its high-tech ceramic, Rado celebrated the opening of its brand new boutique with an exclusive event at its KLCC location. The red-carpet event was kicked off with a ribbon-cutting ceremony led by VIPs from both Rado and KLCC, including Daniel Gracia, regional sales manager of Rado Switzerland; Andrew Brien, CEO and executive director of Suria KLCC; Carlos Cardenas, Rado Switzerland’s VP of sales; and Francis Tan, COO of Suria KLCC. 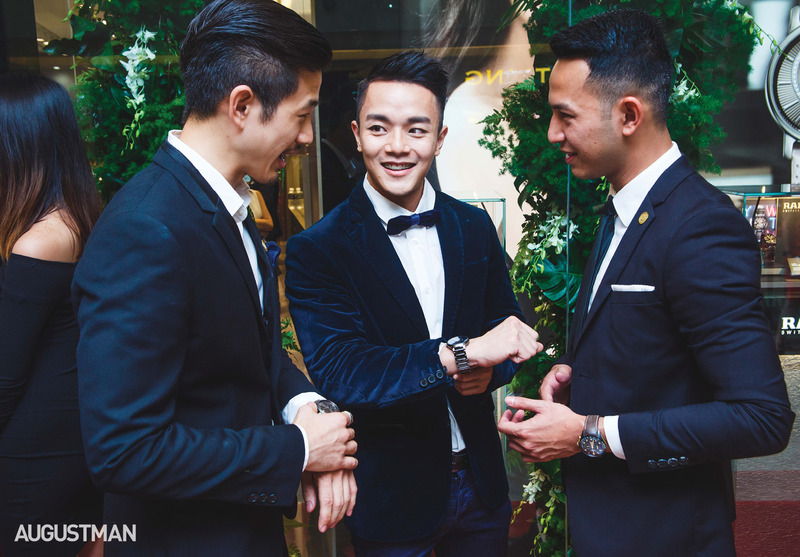 Themed “The Elements of Time” (Rado’s theme for the year), the event introduced some of the newest models from the brand’s iconic HyperChrome, DiaMaster, True and True Thinline collections in a stylish runway show featuring our 2018 A-Listers, namely Jeremy Chan, Jeanbasri, Curwen Chai, Neoh Wee Ming, Muzzamel Mazidee, Khalid Redzuan and Ernest Loh, all sporting slicked back hair and elegantly dressed in their suits, with the latest timepieces by Rado. The boutique showcases the very latest in Rado store design, featuring the signature Rado look and feel which uses minimal design contrasting with textured and handcrafted materials to underline Rado’s mastery of materials.